Our talented and motivated coaches make CrossFit 460 special. They understand that no two bodies are alike and will work with you to get fit at the right pace. "Helping people make positive changes in their lives is what drives my passion for CrossFit. I am extremely excited to have the opportunity to share my passion for the sport of CrossFit with my hometown community of Blacksburg." "I am most passionate about: physical fitness, nutrition, living a happy life and helping others achieve the same. CrossFit is my passion, I’m honored to be a part of this family and improve lives together!" "I received my CrossFit L1 in May 2016 and decided that I wanted to further my coaching education and experience here at CrossFit 460. I’m absolutely pumped to coach here, and to meet and help everyone smash fitness and health goals!" "I joined CrossFit 460 in the fall of 2016 and immediately felt like part of the family. The community is truly second to none. Being a coach is a dream job of mine and I’m honored to serve in any capacity possible." "I started coaching for the same reason that I’m interested in coaching here – I really enjoy CrossFit as a primary form of general physical preparedness, and I enjoy helping others get excited about staying healthy and making themselves better." "I graduated from Virginia Tech in the Spring of 2018, with a BS in Human Nutrition Food and Exercise. I’m a townie and have been in Blacksburg since the age of 3. I am excited for the opportunity to help others achieve their fitness goals through CrossFit." "My coaching is fueled by the joy of seeing athletes improve. 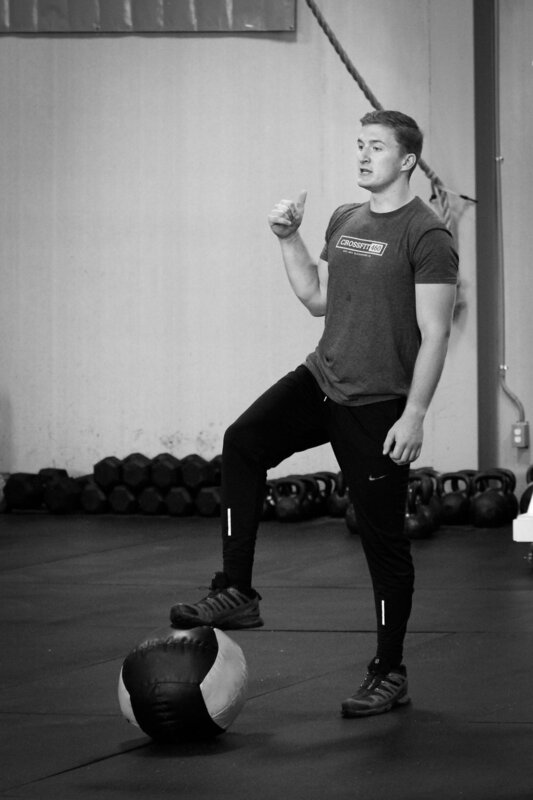 I enjoy troubleshooting movement errors and optimizing athletes' mechanics using my 3 years of coaching experience and enthusiasm for expanding my knowledge of CrossFit." "I graduated from Towson University with a Bachelor of Science in Athletic Training and recently earned my Masters in Education at Virginia Tech. When it comes to coaching I am most excited about helping others achieve their goals and do what they may have never thought possible."